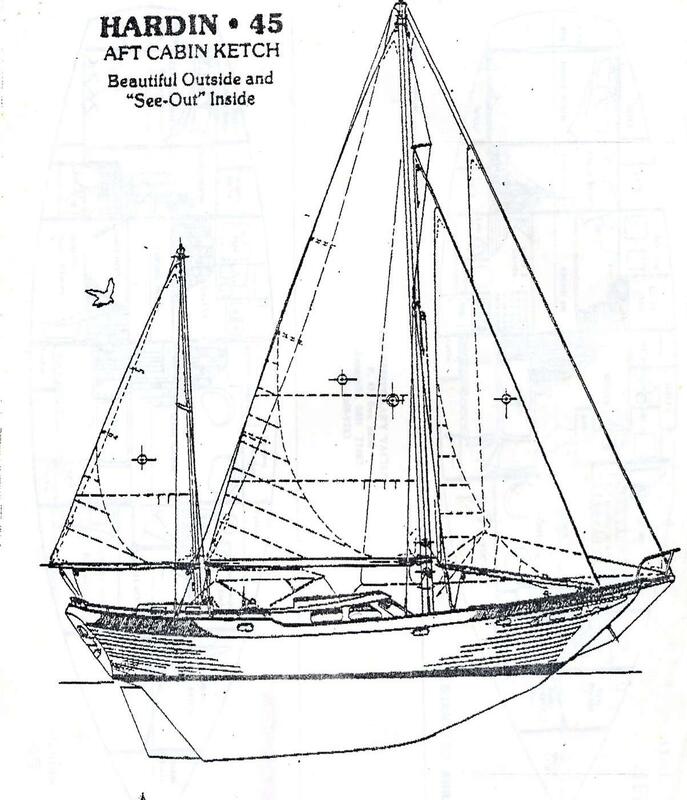 The Sailing Yacht (S/Y) DREAM AWAY is a Hardin 45 ketch-rigged cutter. It was built in 1980 in Kaohsiung, Taiwan. It is a fiberglass boat. The hull configuration is a full keel and the empty weight is 32,000 lbs. It has approximately 8,600 lbs. of lead ballast. The vessel is 45 feet long on deck, 34 feet 4 inches long at the waterline, and she has a 13 foot, 6 inch beam. She draws 6 feet.